Every month we shine the light on an Event Greening Forum member who is making noteworthy achievements in their event greening efforts. 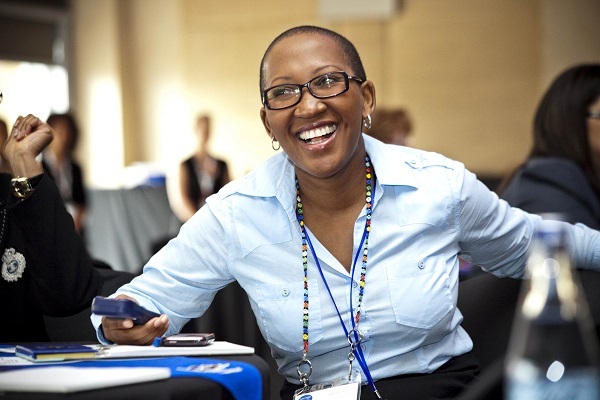 This month we feature Taubie Motlhabane, a mover and shaker, and the Divisional Head at Tshwane Tourism. Q. WHAT IS YOUR ROLE AT TSHWANE TOURISM, AND WHAT DO YOU LOVE MOST ABOUT IT? My role at Tshwane Tourism is that of Divisional Head. I’m responsible for the strategic direction and management of the Division. Our role is to market the City of Tshwane as a preferred business and leisure tourist destination. To this end, a new Tshwane Tourism Strategy was developed in October 2017. The process of developing a strategy that can make a tangible difference in the industry and to the City’s tourism sector is very rewarding for me. Even more so is when you see the results manifest… I love that!! The amount of waste and pollution generated in the pursuit of tourism activities is shocking to observe. I first became aware of this impact about 10 years ago, when I travelled to different destinations on the African Continent and India for both work and pleasure. The amount of waste generated during exhibitions and conferences (plastic mainly) and the litter on heavily populated beaches shocked me! Q. WHEN AND WHY DID YOU DEVELOP AN AWARENESS ABOUT SUSTAINABILITY, AND A DESIRE TO CHAMPION IT THROUGH YOUR WORK? Tourism has got massive economic benefit potential for destinations. However, it also has massive potential for the destruction of the beauty and natural environments of destinations. The amount of waste and pollution generated in the pursuit of tourism activities is shocking to observe. I first became aware of this impact about 10 years ago, when I travelled to different destinations on the African Continent and India for both work and pleasure. The amount of waste generated during exhibitions and conferences (plastic mainly) and the litter on heavily populated beaches shocked me! It became clear that as a Tourism and Business Events professional, I could turn a blind eye and let the problem continue to grow, or I could be a member of the global team that does something different to make a change. I could also do my business differently, and contribute to sustainability in our industry. The City is already very passionate about sustainability. The Executive Mayor hosts the annual African Capital Cities’ Sustainability Forum, during Sustainability Week. This forum aims to bring together African Capital Cities and deliberate about how the cities can be more sustainable. Q. TELL US ABOUT YOUR PROUDEST ‘GREEN’ ACHIEVEMENT, WHETHER A WORK PROJECT OR SOMETHING IN YOUR PERSONAL CAPACITY? Wow… Achievement??? Well on the professional front, I pioneered the project for the City of Tshwane’s first ever participation in the Global Destination Sustainability Index (GDSI). This brought attention to the City’s sustainability ranking globally and where the work needs to be done. The City is already very passionate about sustainability. The Executive Mayor hosts the annual African Capital Cities’ Sustainability Forum, during Sustainability Week. This forum aims to bring together African Capital Cities and deliberate about how the cities can be more sustainable. In my personal capacity, I have established a garden at home from where I harvest my spinach, lettuce and onions for consumption. I found that I do not waste, as I harvest only what I need to consume. When buying from shops, I tend to buy more than I need, always wrapped in plastic and I almost always end up throwing away food. Q. WHAT IS THE BIGGEST CHALLENGE YOU’VE HAD TO FACE, WHEN PUSHING THE SUSTAINABLE AGENDA? Unfortunately, South Africa is still lagging behind when it comes to understanding the long term impact of not adopting sustainable practices. The challenge is always having to prove that adopting good sustainability practices will be beneficial. If the authorities can’t see the short term benefits, it is seen as a ‘nice to have’ and subsequently rejected. I totally believe that the price is way too high NOT to keep going. The very things we love – clean air, beaches, oceans and parks for example – will be gone if we do not keep pushing for the green and sustainable agenda. Q. SOMETIMES GOING GREEN CAN BE DISHEARTENING. WHAT MOTIVATES YOU TO KEEP GOING? I totally believe that the price is way too high NOT to keep going. The very things we love – clean air, beaches, oceans and parks for example – will be gone if we do not keep pushing for the green and sustainable agenda. That what keeps me motivated to fight for sustainability. Q. IF YOU COULD WAVE A MAGIC WAND AND CHANGE ONE THING ABOUT THE SA MICE EVENTS INDUSTRY TO MAKE IT MORE SUSTAINABLE, WHAT WOULD THAT ONE THING BE? I would want sustainability to be financially rewarded! Recognition is good, but I mean if the MICE industry could make serious money out of sustainability, I think it would be second nature! We have a long way to go and the journey will not be easy. I however believe that it is not an insurmountable hurdle. Starting early – schools and at our homes – will make it become part of our nature. In the words of Dorothy Nolte Law, “Children learn what they live”. Sustainability is a job for all of us.